Book Reviews: Why Write Them? What Makes a Good One? 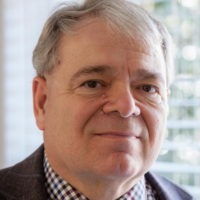 Join us for a talk on writing reviews by Dr. Stephen W. Hiemstra on Monday, March 19, 2010 at the Northern Virginia Christian Writers Fellowship. Author, Stephen W. Hiemstra, started reviewing books for his dissertation in graduate school, recording notes in ten composition books. In the 1980s, he started publishing academic reviews for economics journals. More recently, he has blogged reviews weekly with about 250 posts outstanding. For those of you who do not know me, my name is Stephen W. Hiemstra. I am a volunteer pastor in Hispanic ministry and a Christian writer with a focus on Christian spirituality. My wife, Maryam, and I live in Centreville, Virginia and have three grown children. How many of you write book reviews? If you write reviews, what kind of books do you review? If not, why not? This evening I will talk about why I write reviews and what a good review looks like. But first, let me explain what I mean by a book review. I began writing reviews in graduate school working on my master’s thesis and doctoral dissertation. In those years (1970s and 1980s) before personal computers and the internet, finding books on a particular topic required a trip to the library where one needs to spend time with the card catalog, bibliographies, references in relevant books, and just wandering through the aisles checking out books shelved together. New titles might be reviewed in pertinent journals, but reviews on older books were harder to find. All of this library work proved tedious. Many people used index cards to summarize the books they found and read. In my case, I completed ten composition books full of notes on readings before my dissertation was complete. I wrote the literature review and took quotes for my dissertation based primarily on these book notes. Even outside the academic world, many books string together synopses in their early chapters and may even devote entire chapters to examining the arguments of previous authors. Academic reviews can focus on a single book or compare a number of titles on the same subject. Most online reviews are critiques that focus on offering an assessment, which frequently amounts to little more than a rating based on a zero to five-star rating. These critiques often offer a couple of sentences about what motivated the writer to rate the book. Some offer nothing more than the rating. The history of my review writing shows two distinct periods: an academic period and a ministry period. When I began writing and publishing reviews in the 1980s, I worked as an economist under pressure to publish, but often constrained by my employer from publishing. Employers generally own the work that you do during the day. Research organizations may encourage publication but insist on editorial supervision of what gets released. Administrative organizations often discourage publication to maintain proprietary rights to the work, to limit time spent in editing and law suits using their own work against them, and to keep their professionals from finding work elsewhere. As an economist, I chided under such publication restrictions knowing that “publish or perish” was not just an urban legend and discovered that my employers did not care if I wrote academic reviews and did not attempt to edit or restrict them. Academic journals always looked for good reviews and especially liked English reviews of foreign language books. These reviews allowed me to get credit for my literature reviews, to keep up my work in foreign languages, and offered an important networking opportunity—authors and publishers love independent reviews. Before I attended seminary and began blogging, I had a book ministry. One way to undertake a book ministry is to give away good books. In my office years ago, a colleague started a book drive where he encouraged employees to bring in old, unwanted books that would be set out for display. People could choose any book, pay what they thought it was worth, and the money raised was donated to charity. Most of the books donated were steamy romance and murder novels. I thought, why not throw in a few good Christian titles? Another way to undertake a book ministry is to give people books that focus on the issues they are struggling with. My favorite wedding gift for many years, for example, has been Henry Cloud and John Townsend’s Boundaries, which encourages people to understand their life goals and to defend them appropriately in their daily lives. Another frequent gift for inactive, older friends and family was Chris Crowley and Henry S. Lodge’s Younger Next Year, which explains in detail why exercise will extend and enrich your life. After gifting a book, I would check up later to see what they thought of it. As may be obvious from my personal history, I write reviews heavily informed by the academic tradition. My editor once remarked that I do not so much write book reviews as book commentaries. Some of my reviews divide into multiple blog posts, in part, so that I can justify the weeks of work required to read and review scholarly books. The surprising outcome of reviewing such scholarly texts is that such reviews are intensely popular with my blog’s readership—seminary students, pastors, and missionaries. The most popular review on my blog over the past several years has been a theological textbook on mission leadership written in 2014. A graphic based on book’s cover. A paragraph outlining the motivation to read the book. An introduction to the author and the book. An outline of major concepts advanced in the book. An in-depth discussion of at least one of those concepts. An assessment of the book’s audience, readability, and contribution. Memoirs are harder to summarize; hence, harder to review. Reviews of fiction book require a similar format, but instead of talking about concepts they need to discuss genre, major characters, and plot. My reviews typically focus on summarizing the book reserving only a paragraph for the assessment. The summary of structure and points is normally detailed enough that the reader should be able to decide for themselves if the book is useful and meets the author’s own objectives. The synopsis is typically about eighty to ninety percent of the review, which typically runs between six hundred to twelve hundred words. My assessments are normally the final paragraph in my review. When I post reviews on Amazon.com or GoodReads.com, I almost always offer them five-star ratings because I buy my own books and prescreen them for a writing project that I am working on or an issue that I am struggling with personally. If I take time to read a book; it must normally be good. My focus in the assessment offers context to my readers on the book’s audience, readability, and writing style. If for some reason I motor through a book that I do not like, I will talk about the limited audience, the challenge posed in reading, and any distinguishing style characteristics—I do not rate books unless I am forced to in posting online. Reviews provide a key selling point for authors and publishers. As an author, my Amazon.com ranking is positively enhanced by writing reviews and I have frequently corresponded with authors about these reviews, which provide an excellent networking opportunity. Posting reviews on Twitter allows me to tweet authors and publishers who frequently retweet the reviews and even put links to them online. Outside of the networking benefits of writing reviews, reviews allow me to engage the books that I read at a deeper level and I often cite my review comments later in my publications. It is hard to be a nonfiction writer and not read extensively and dissect the books you read. Often my reading prompts my thinking process in fairly nonlinear ways, making me a better writer. Plueddemann. James E. 2009. Leading Across Cultures: Effective Ministry and Mission in the Global Church. Downers Grove: IVP Academic. Plueddemann Demystified Leadership Across Culture (https://wp.me/p8RkfV-oI).